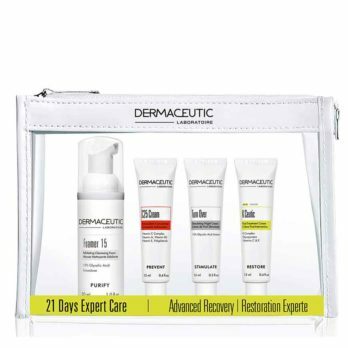 Advanced Recovery Kit is the perfect starter kit / travel kit with 4 of Dermaceutic’s favourite skin care products. Tinted Daily Defense Cream with SPF 50. 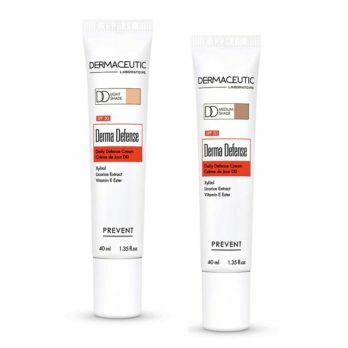 Dermaceutic Derma Defense is a 3-in-1 tinted day cream with a SPF 50 that hydrates and protects the skin against free radical damage. Available in two shades: light and medium. 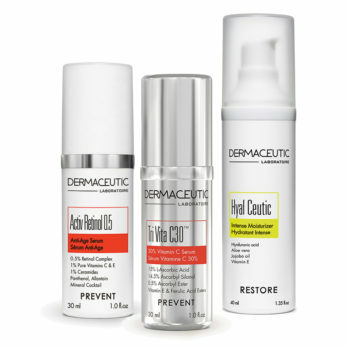 Age Defense Kit is a perfect skin regime for dry or mature skin. Contains AHA that stimulates cell renewal (Foamer 15 and Turn Over). Skin is repaired, nourished and moisturised with Regen Ceutic. 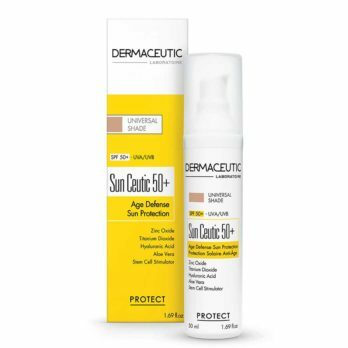 The Sun Ceutic prevents premature ageing from the sun with SPF50+. 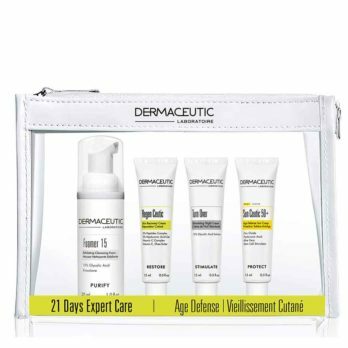 Dr Alek’s Tip: This is a perfect travel kit or a terrific way to introduce your skin to Dermaceutic’s active skincare range. 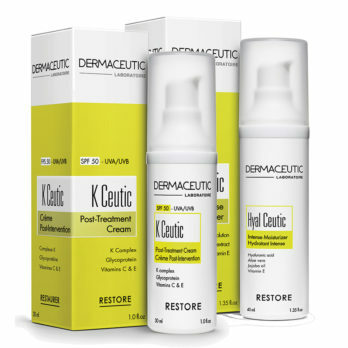 Consider adding Dermaceutic Retinol 0.5 for added anti-ageing skin effects.